White symbolizes purity, joy, and innocence. White is the traditional color worn by brides in the western world, as well as in Japan. White is a color of mourning in China and parts of Africa. A white flag is universally recognized as a symbol of peace. 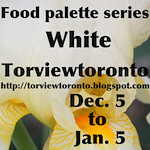 More shades of white are available commercially than any other color. Originally, scientists wore beige coats. In the late 19th century, medical professionals chose white ones. The color white was chosen because of the idea of hope and expectations for healing and recovery that the physicians would bring. 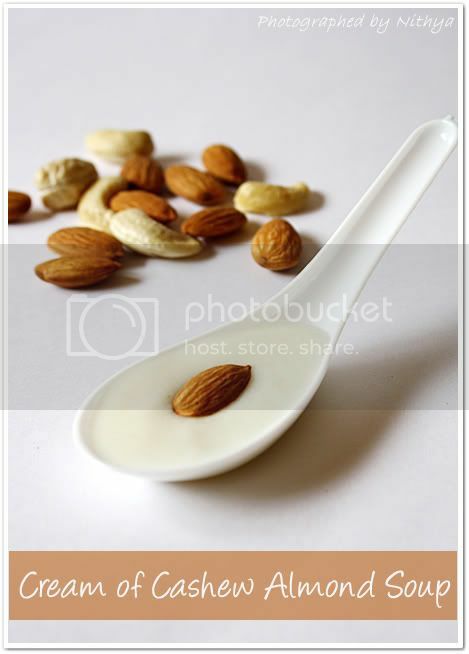 Soak the almonds in a cup of hot water for 15 mins. When cool enough to handle, slip the nuts out of their skins. Chop the onion roughly and cook it along with the garlic in microwave or stove top. Grind the cooked onions, garlic, almonds and cashews together adding little milk to it into a smooth paste. Add 2 tsp of water to the corn flour and dilute it. Take the ground paste in a vessel and add salt, milk and some water to it and bring to boil. When it is boiling, simmer the stove and add the corn syrup stirring it continuously. This quantity will suffice 4 people. Wat a delicious and rich soup, lipsmacking dish.. Thanks for sharing the recipe. I never thought of this soup!!! 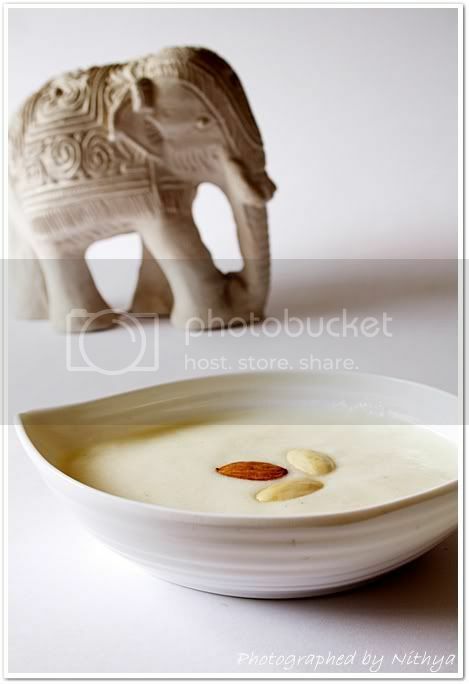 What a rich soup...I luved ur bunny and elephant....nice clicks too! Hoi! 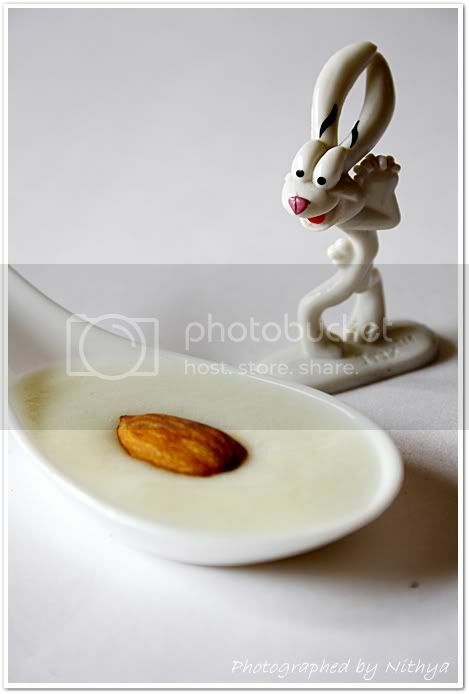 Inspiring recipe with interesting clicks... Love the bunny's expressions! You r proving to be a great cook! Richie rich NIts, you said it, creamy and looks delish! !Super shots da..
That looks very rich and thick soup. Every click is amazing !!! 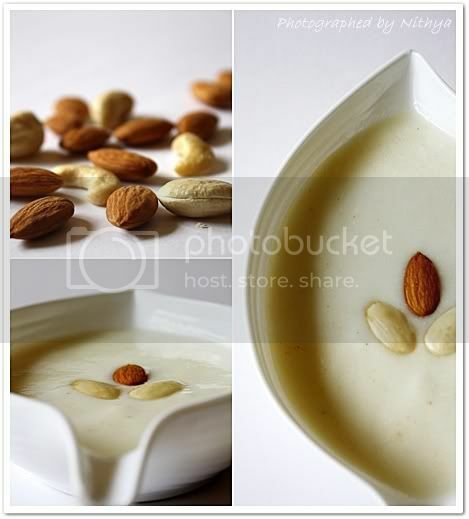 First of all, stunning photographs... and yeah, not only soup can be treated as mini dessert as well. Love that cute bunny..so adorable :D I totally agree with you the soup is so damn rich!! I have bookmarked and definitely trying it out sometime !!! 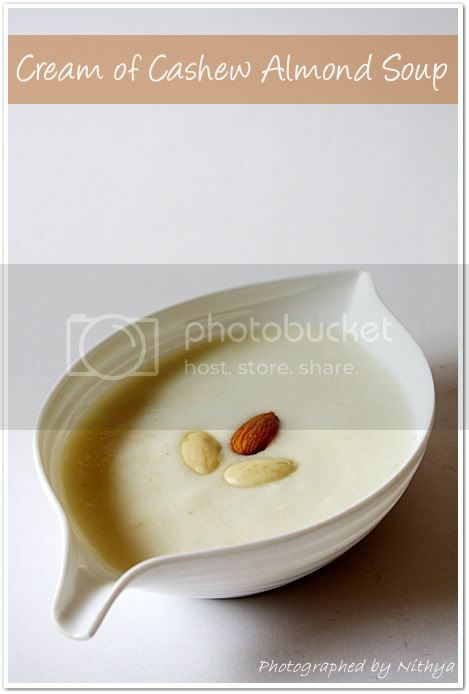 Rich and delicious soup.. And awesome clicks too..
Looks yummy and awesome click yaar. Nithya I am going to prepare this soup for my daughter and will let u know dear!!!! soup looks rich and creamy.beautiful snaps. Nithi, Thanks for your wishes..thatz very nice of you..correct ta kandupidichiteengha:-)happy to hear you showed it to your parents.. Stunning, Nithya. Simple and stunning. I love this idea! That was one creamy soup recipe. Looks so good. Nice recipe and great pictures. YUM! 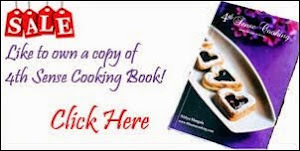 wow.. really lovely recipe.. do drop in at my site whenever.. foloowing you..
hello, antha second photola irukkum bommai maathrithaan naanum intha postai read panninen. cooking blog maathiriyee illai madam, yetho art galleryku ulla nulanja maathiri irukku! gr888 work.